Anyone else have a family that is reluctant to try different foods? Does just the very mention of some "strange" ethnic dish send them scowling into corner, turning up their noses? This happens to be my son or husband when I mention that I am cooking up something Indian or Greek for dinner. You see, I fell in love with both of these ethnic cuisines while living in a bigger city for over 8 years. But their exposure to these types of foods has been minimal at best. If we would want to go out for Greek or Indian or even good sushi here, we would have to drive 45 minutes north to find a decent restaurant that serves these cuisines. But let me tell you a little something, folks. I have found a way to at least get them to try different foods- incorporate those ethnic flavors into a dish that I already know that they love! ;) And who doesn't love mac 'n cheese, right? 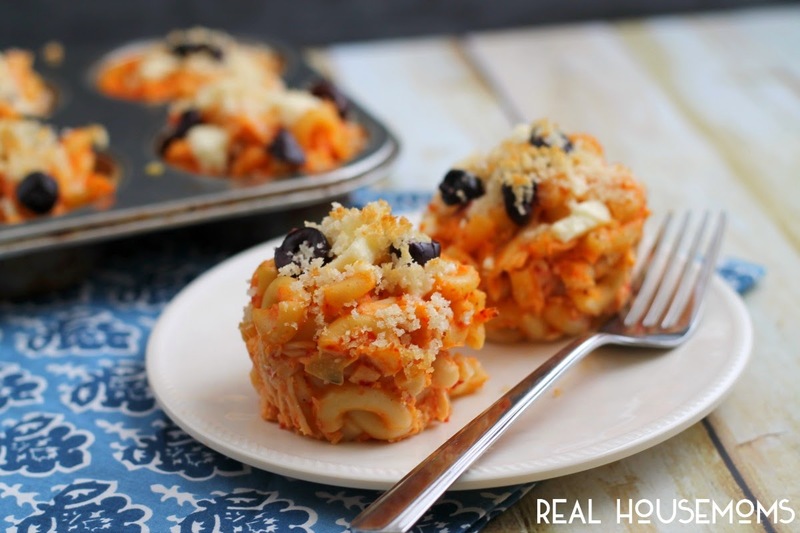 I combined Greek yogurt, chicken, macaroni, olives, artichoke hearts, and feta cheese in these fun and healthy Greek Chicken Mac ‘n Cheese Muffins. Yes, I said muffins! 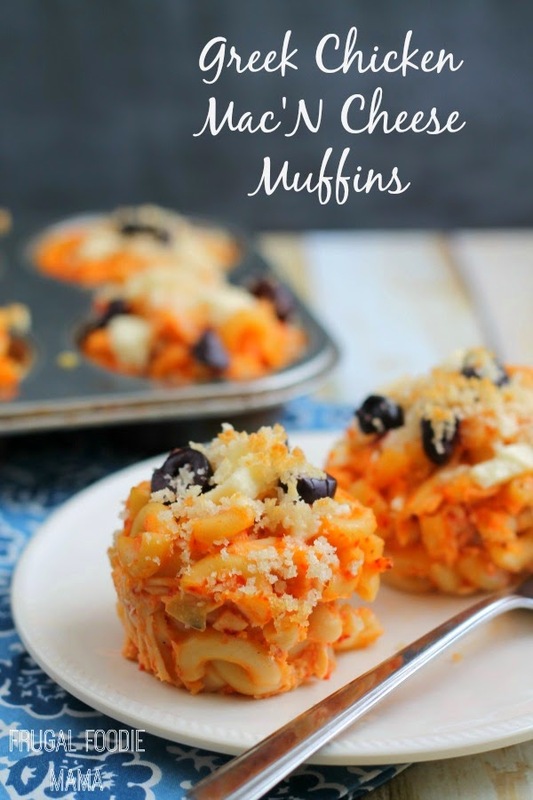 Muffins made from mac 'n cheese! Because why not make them more fun to eat too while we are at it? What are some of your tips and tricks for getting your family to try new and different foods?